After the announcement of Assassin’s Creed III Remastered coming to consoles, it left to speculation that a Switch Version could be on the cards as well. 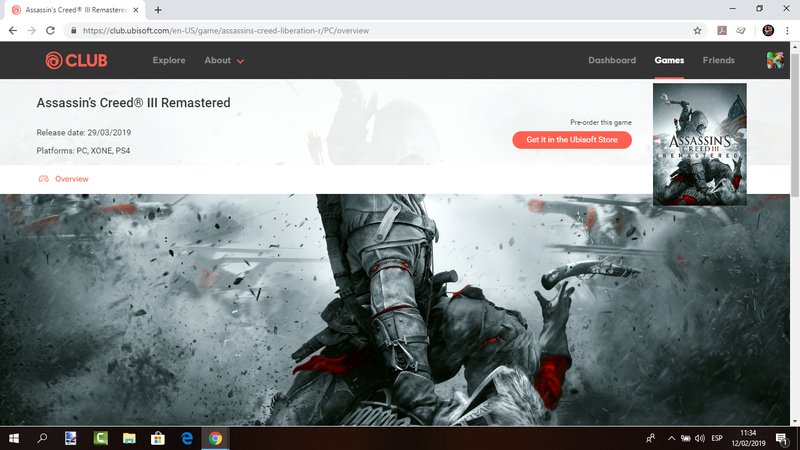 The Assassin’s Creed III Remastered Switch listing has been seen on a number of online retailers and even via the Ubisoft Club website. However, Ubisoft have since removed the listing from the site, leaving many of us wondering what exactly is going on? Other rumours have pointed to a Nintendo Direct coming some time this week (February 13th seems to be the key date). Whether there is a Nintendo Direct on the way which, will officially announce Assassin’s Creed III Remastered for the Nintendo Switch would not surprise us, It happened with Yoshi’s Crafted World when it was listed on Nintendo’s own website before they took it down immediately after.